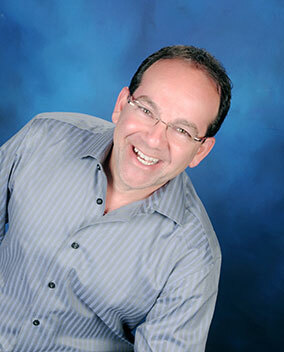 A native of the Chicago area, Weissman graduated from the Illinois School of Professional Psychology with a Doctor of Psychology in 1991. At that time, he also completed a specialization program in Health Psychology. While an undergraduate at Southern Illinois University in Carbondale, Illinois in the 1980s, he published articles in both sleep and headache research. His professional experience includes a position as staff psychologist at Illinois Masonic Medical Center in Chicago (January 2005 – February 2007). Since 1996, Dr. Weissman has served as Director of Psychological Services at the Advanced Reproductive Health Center, Ltd., in Orland Park, Illinois. Dr. Weissman expanded his expertise through participation in studies and resolution treatment for individuals diagnosed with Obsessive Compulsive Disorder (OCD) and Post Traumatic Stress Disorders (PTSD), often concurrent with the use of Eye Movement Desensitization and Reprocessing (EMDR). He was part of the first groups trained in EMDR by Dr. Francine Shapiro, and has an extensive background in both traditional and alternative healing. Dr. Weissman is a certified practitioner of the LifeLine Technique, a revolutionary treatment system of holistic healing that fuses thousands of years of proven natural healing practices, including acupuncture and Ayurvedic medicine, with modern therapies and philosophies. Through his training and practice, he developed therapies for a variety of infertility problems and related stressors. He also developed competencies in herbal, homeopathic and nutritional intelligence to support and enhance one’s health and wellness goals. A sought-after lecturer with a long-standing commitment to educating the public on mental health issues, Dr. Weissman presents workshops on stress management in the workplace and monthly forums on increasing mind/body awareness as a means to improve health and share knowledge and techniques to ward off the harmful effects of stress. Dr. Weissman practices from the main office in Northbrook, Illinois. He lives with his family in suburban Chicago.